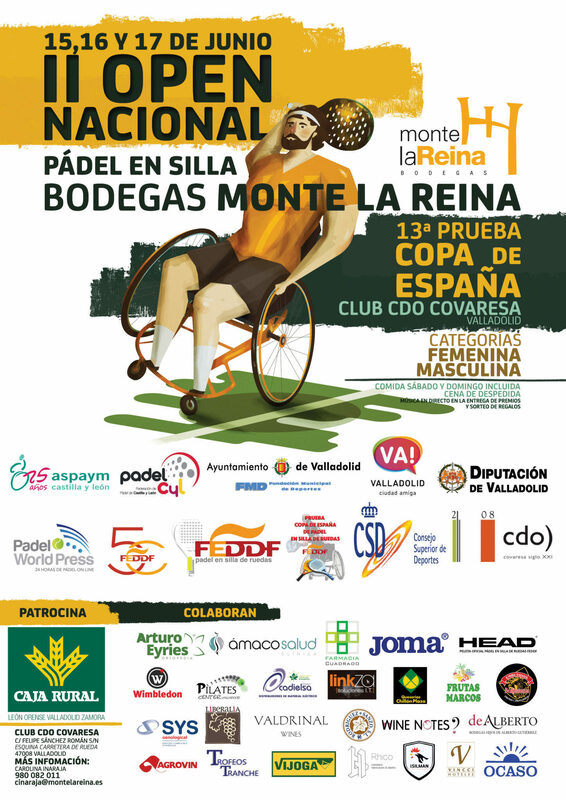 Valladolid, exactly on the CDO Covaresa, hosted during the 15th, 16th and 17th of June, the II National Wheelchair Open Paddle, sponsored and organized by Monte La Reina Winery. AGROVIN was present in this Paddle Tournament in a wheelchair, as a collaborator, contributing as it could not be otherwise, our grain of sand and solidarity. The objective of this test was to promote the practice of this sport and help motivate disabled people to become interested in this sport. All the attendees, besides being able to enjoy this sports discipline, were able to taste for free the wines of the Monte La Reina Winery and participated in the raffle of several gifts.